The cabin is a very satisfying living space. High ceiling with loft bedroom high end Serta queen sized bed. A fully functional kitchen is also included. It's a very romantic and cozy space especially for couples. You get acces anywhere in the 2 acre property. We are very conveniently located between Hilo , volcano and the red road and lava flows. We are a 20minute drive to the volcano national park where the lava is currently overflowing and erupting. Come see it before is stops! It's truly an incredible sight. A must see!! On a side note Keaau is a very safe place to be for safe air. 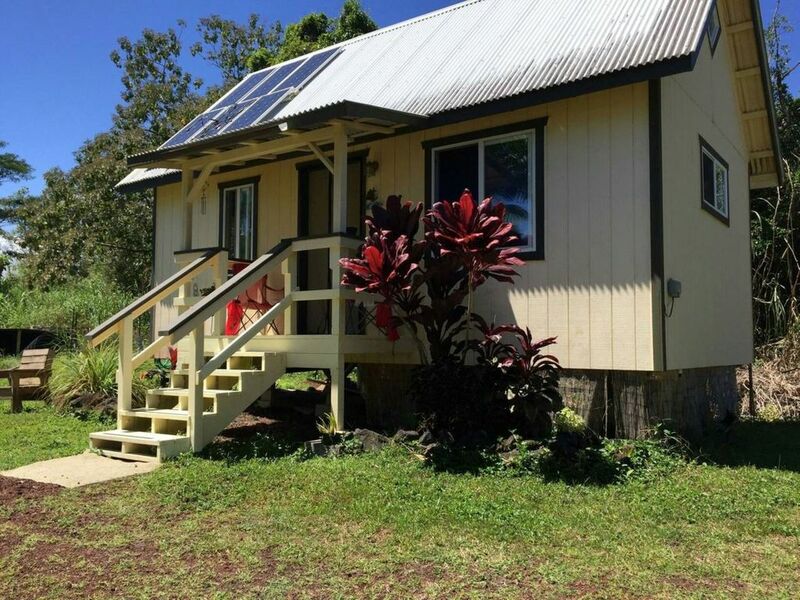 Great location for all that east Hawaii has to offer and your host Jonas will make sure you have all the information and toys you need to explore eg. snorkel gear boogie boards! Currently the county of Hawaii is setting up safe viewing areas of the volcano and lava flows. Hookele cabin is located 15 miles from the volcano and is upwind so air quality is fresh and clean. Come see a once in a lifetime experience of a close look at an active volcano.